Whitelaw Turkington and Arup have been appointed as designers of the public spaces at Exchange Greengate in Central Salford. The 13-hectare, mixed-use development will create a new urban quarter linking the cities of Salford and Manchester, with a stunning public realm at its heart. A public square, river walkway, water features and a new bridge across the River Irwell are all part of the stunning public realm designs that will establish Exchange, Greengate as a new city centre destination. 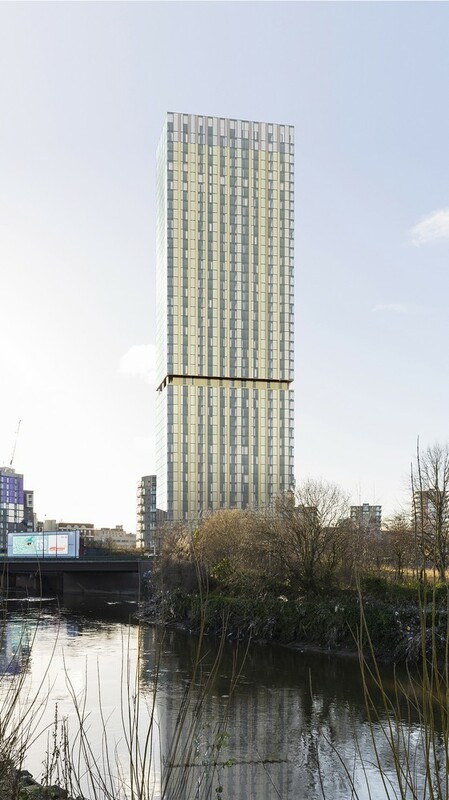 Just minutes from Victoria Station and the commercial heart of Manchester, Greengate will be home to 2,500 residential units and over 85,000 sqm of commercial floor space. The development is a partnership between Central Salford URC, Salford City Council, national regeneration agency English Partnerships, Network Rail and ASK Developments. Exchange, Greengate is expected to attract over £580m of private sector investment and secured planning permission in June 2007. The public realm team are scheduled to complete detailed designs in Spring 2009 and work on the ground is likely to begin Autumn 2009. Whitelaw Turkington have a strong track record of delivering public realm landscape design in urban areas and in parks, streetscapes and public places, in areas such as Peninsula Square Greenwich, Gillett Square Hackney and St George’s Square Huddersfield. Guy Denton, Director, Whitelaw Turkington said: “We’re delighted to be chosen as lead designers for what is one of the most significant public realm projects in the UK. The opportunity to apply some of the most innovative design thinking in order to create a vibrant and sustainable setting for this new urban quarter is utterly fantastic”. Whitelaw Turkington will be working alongside Arup, a global firm of designers, engineers, planners and business consultants providing a diverse range of professional services to clients around the world. The design team will be supported by the project management expertise of Faithful & Gould and the quantity surveyor skills of Turner & Townsend. Communities Secretary and Salford MP, Hazel Blears, has welcomed the news that national regeneration agency English Partnerships has put in place the final element for a visionary 13- hectare scheme that will provide a new urban quarter linking the cities of Salford and Manchester. The announcement of an £8.5 million funding package from English Partnerships gives a green light to the scheme that will create stunning public spaces, 4,000 jobs and 2,500 new homes. Exchange Greengate will link Salford and Manchester through a new public square, river walkway and connecting bridge. Expected to attract over £600m of private sector investment, it will be a new, vibrant, mixed-use development, just minutes from Victoria Station and the commercial heart of Manchester, bounded by the River Irwell, Chapel Street, Blackfriars Road and Trinity Way. The development, which secured planning permission in June 2007, is being led by a partnership between Central Salford URC, Salford City Council, English Partnerships, Network Rail and ASK Developments. The public space elements of the scheme will see the creation of a new visitor destination characterised by green spaces, attractive watersides, pedestrian-friendly walkways, water features, a public square and a new bridge across the River Irwell. A key feature will be the recreation of the medieval market place reflecting the historic importance of the site as a centre of trade and commerce. Exceptional design quality and high standards of sustainability will be integral to the approach. Exchange Greengate will see the transformation of 13 acres of predominantly underused, brownfield land into over 2,500 residential units and over 85,000 sq m of commercial floor space creating around 4,000 new jobs. The funding from English Partnerships will make the public realm proposals possible and is essential in terms of bringing forward the wider regeneration of the area. The masterplan proposes three district public realm areas – Greengate Square, Greengate Link and the Urban Cove. The Urban Cove will bring the River Irwell back to life, an iconic bridge will link the two cities of Manchester and Salford and stunning water features will attract people down to new public space. The Greengate Link will be a new pedestrian route under the existing viaduct. Lined with water features, light installations and public art, it will be the perfect place for an urban stroll. Greengate Square will be the green heart of the area. Surrounded by semi-mature trees, a central lawn and granite terraces, the Square will re-establish Salford’s ancient market square with two timber monuments marking the site of the historic cross and exchange and celebrating Salford’s heritage. Greengate is the original historic core of Salford. In the mid 1800s it was home to two thirds of the city’s population. The development of the Greengate site represents the recreation of the historic centre of Salford as a twin partner to Manchester. The Exchange Greengate development is expected to take 10 – 15 years to complete. English Partnerships and the Housing Corporation are working with the Department for Communities and Local Government to establish the proposed Homes and Communities Agency.